You can perfect your mash, tweak your hopping schedule just right, and clean and sanitize your equipment as much as you want... but trust us, your beer will be so much better if you ferment at the correct temperature! 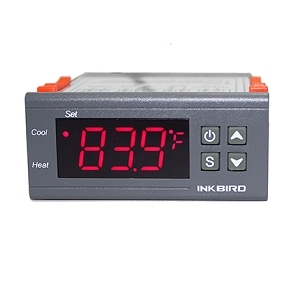 Keep your wort in the right range with the Inkbird ITC 310 Temperature Controller. 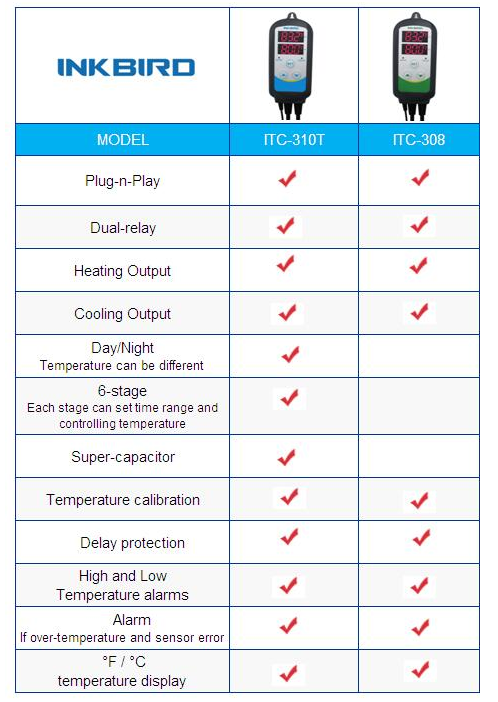 High and low temperature alarms. Just a couple dollars more than Inkbird's basic controller, this one lets you program desired temperatures over time. It seemed like a no-brainer until I got it home and started reading the instructions. They're maddeningly atrocious. I'd suggest a couple of trial runs before using it on your fermentation chamber with a batch at stake. While it shows the menu progression and options clearly, it doesn't explain how to decide which selections to use to achieve the outcomes you desire. I'd also suggest visiting the Inkbird web site and downloading the manual there - it is different and marginally more helpful than what you'll receive in the box.